This weekend, to kick off spring, we headed to the beach. Exploring the beach is one of my little guys favorite things to do. 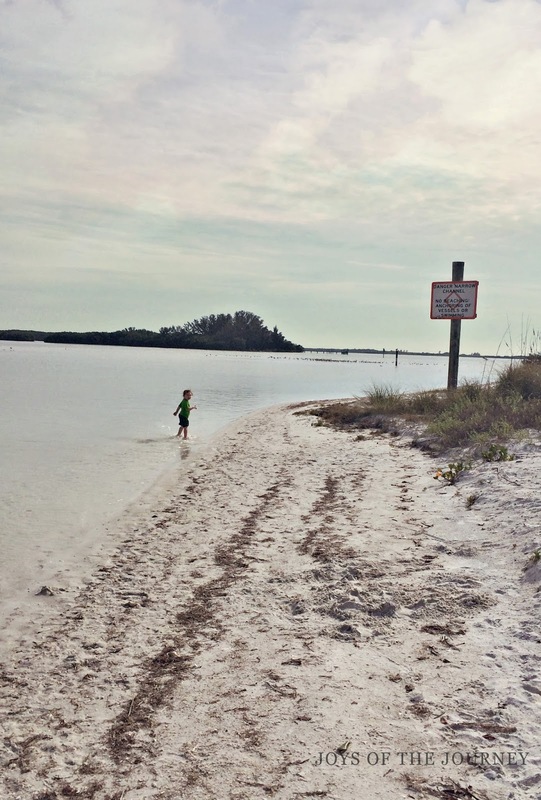 On this trip we ventured out to Shell Key Preserve. This little island was full of marine life and the island has a 110 acre bird preservation area which makes it an awesome place to bird watch, as well. We saw terns, black skimmers, pelicans, egrets and many other bird species. 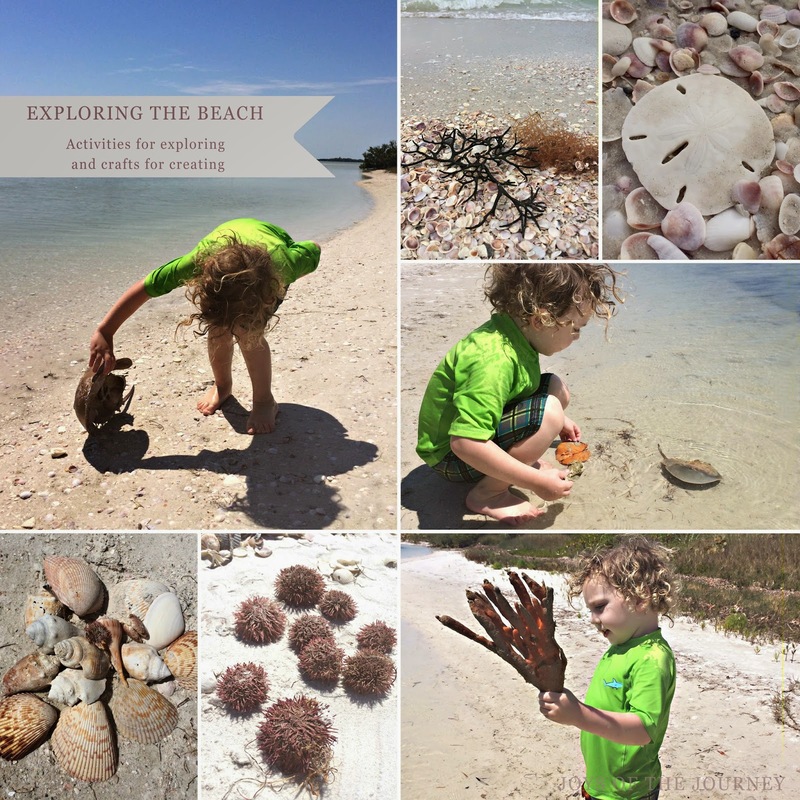 On our walk around the island we came across horsehoe crabs, sea urchins, sand dollars, crabs, sponges, and an array of different kinds of shells and seaweeds. We even spotted a few stingrays and dolphins! My little guy was so delighted to see the marine life! Low tide is the best time to explore. At low tide, more of the marine life is exposed. We were on a barrier reef here, so there were no rocks, but most tide pools have a lot of rocks to navigate, so it's best to bring a pair of water shoes. Check the local Audubon Society for a guide or checklist to birds in the area. We like to print out a checklist and check off the birds we see. Here is a link to get you started birding. Bring along a simple guide to seashore life like this one to identify the marine life you discover. My little guy is curious about everything he finds and wants to know more about it. Be responsible and respectful of the wildlife. Don't poke at the animals or pull them out of the water. I allow my little guy to touch with two fingers, but usually he's happy just observing. Make sure the shells you decide to take home don't have any creatures living in them and if they do put them back in the water. After all, shells are animal homes! ooh you guys got some great finds. We take my son rock pooling in Wales (not quite as warm as where you are!) and he's always excited by the things we discover. Yes, he was excited to find so many treasures! Fabulous post. Pinned and am featuring at Family Fun Friday!